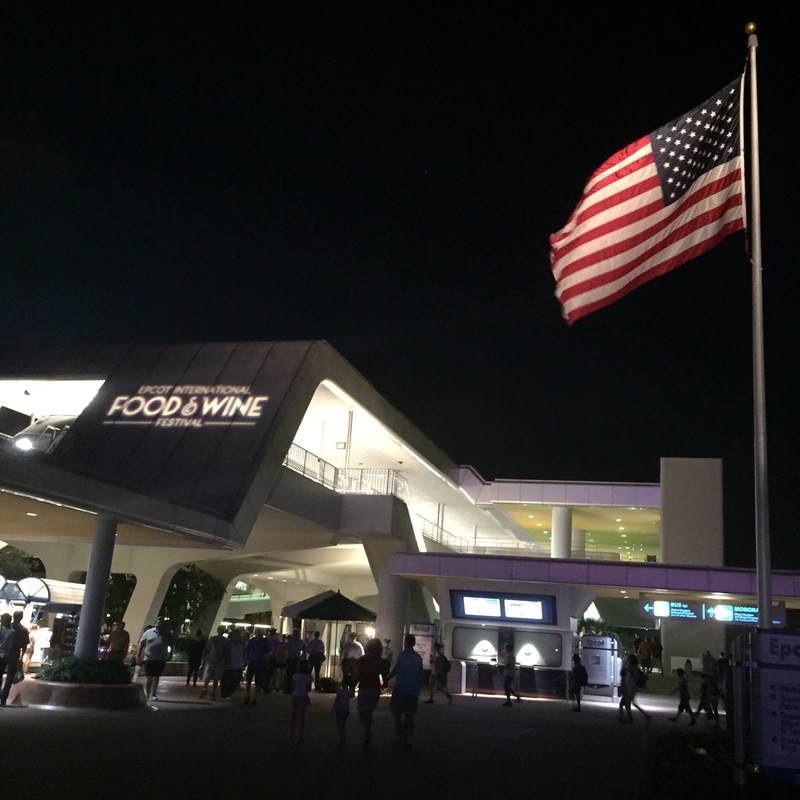 Runners and walkers from all over the world will soon converge at Walt Disney World Resort for runDisney’s Wine and Dine Half Marathon Weekend. 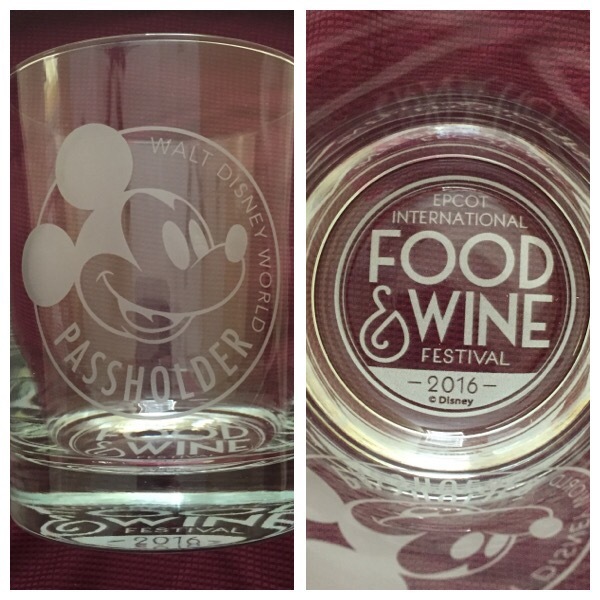 The only fall east coast runDisney event is also not-so-coincidentally the final weekend of the Epcot International Food and Wine Festival. Given that it’s fast-approaching, I thought now would be a good time to share what I enjoyed at this year’s Festival. Let’s start with my faves beginning with a cocktail, shall we? 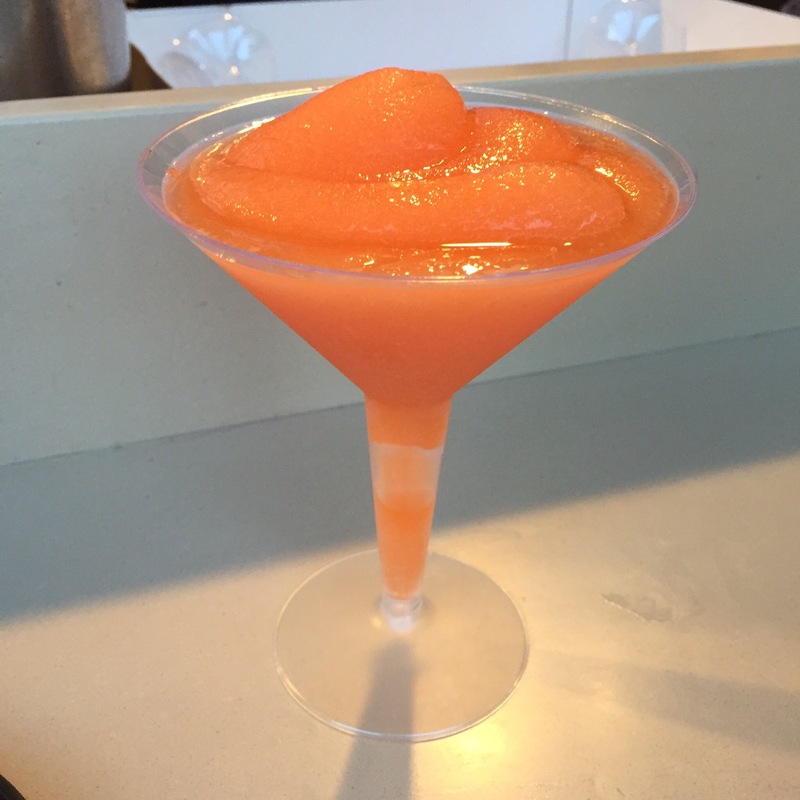 My favorite beverage just happened to hail from France, La Passion Martini Slush. 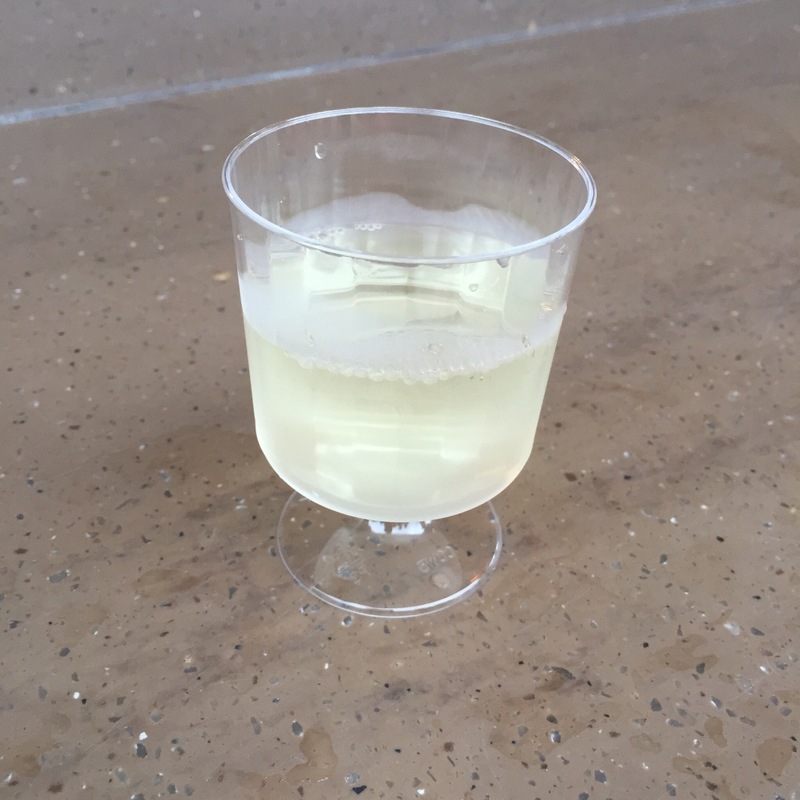 This comes as no surprise since the France Pavilion is known for their martini slushes. In fact, I’ve never met a French martini slush I didn’t like. They do them up right! The Festival edition consists of Grey Goose Le Citron vodka and cranberry and passion fruit juices. Tre bien! 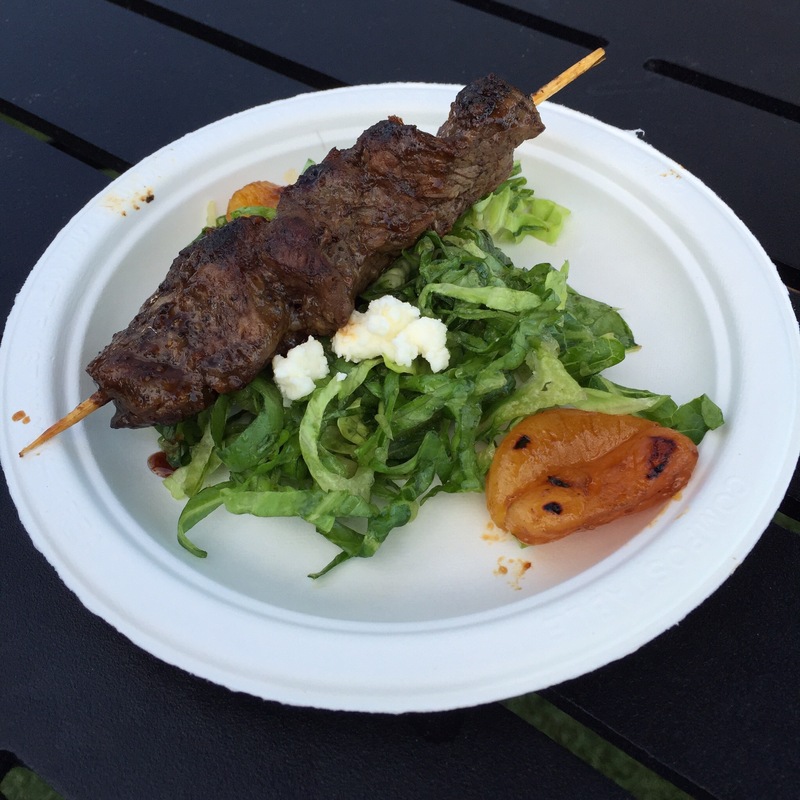 Up next is my favorite savory item, the Grilled Beef Skewer with Romaine, Apricots and Feta Cheese. This one comes from the Chew Collective. This is one that I would love to recreate at home. The beef was tender and full of flavor with a light marinade. The apricots were grilled and caramelized, and their sweetness was perfectly offset by the saltiness of the feta cheese. 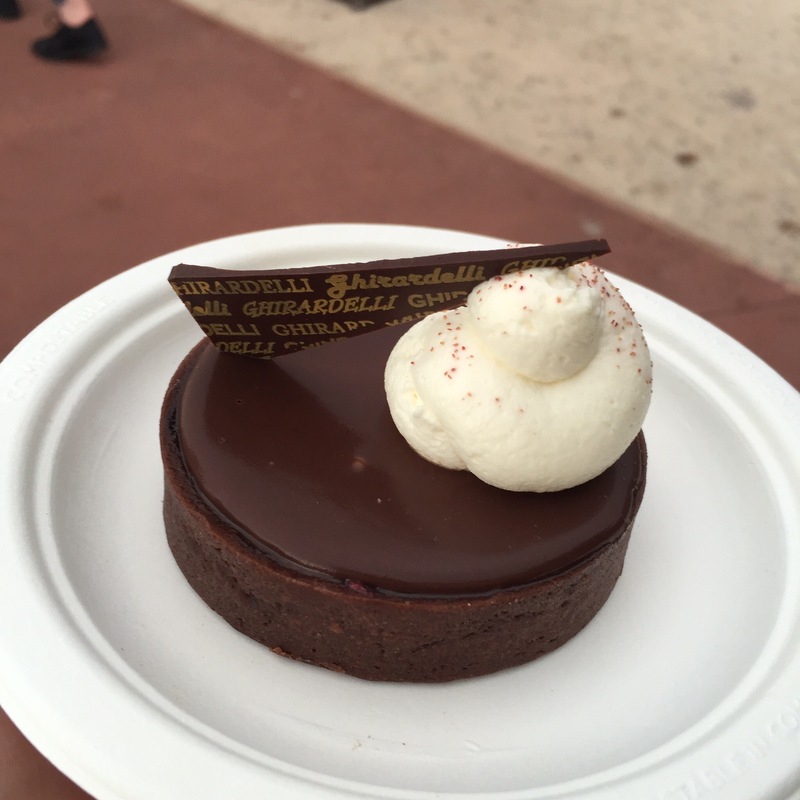 And my favorite dessert goes to the Ghirardelli Chocolate Raspberry Torte from The Chocolate Studio. This was a very generous portion that could easily be shared. Thankfully, I didn’t have to. This was a rich and creamy dark chocolate ganache filling a crisp chocolate crust with a few whole raspberries sprinkled in. Y’all, this was definitely one of the top ten desserts I’ve had in my life. As I was basking in my chocolate heaven, wondering how on earth I was ever going to recreate this at home, I noticed this. Um, that’s the recipe, y’all! Even better, it looks pretty easy. I will be attempting this. Also found in The Chocolate Studio was probably my biggest disappointment of the Festival, the Liquid Nitro Chocolate Almond Truffle with Warm Whiskey Caramel. 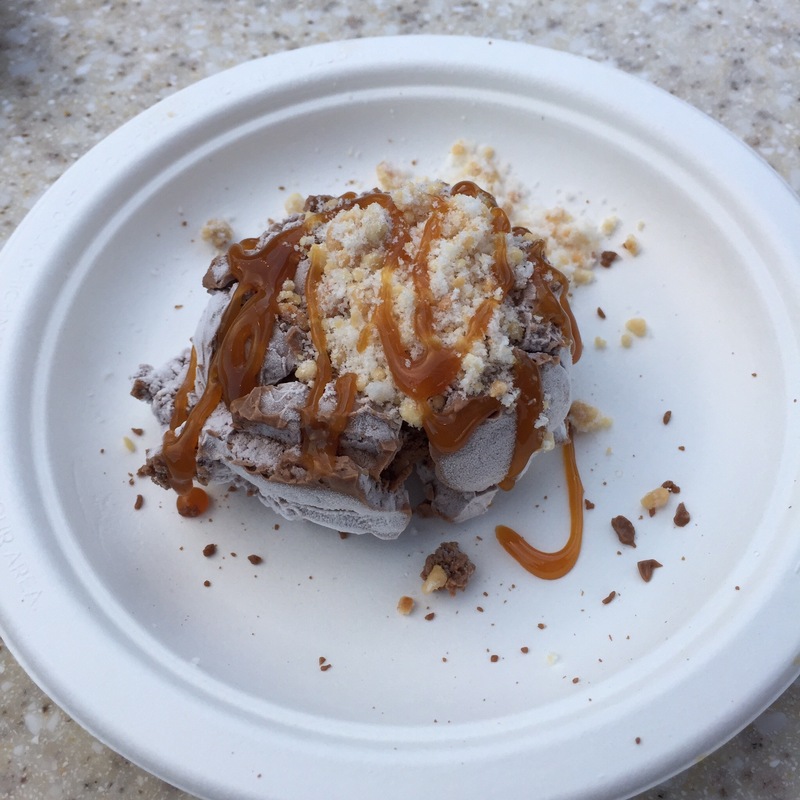 It’s basically chocolate mousse flash-frozen right before your very eyes in a bath of liquid nitrogen, drizzled with warm caramel and sprinkled with an almond nougat crumble. Sounds delicious, doesn’t it? And it might have been had it not been my most anticipated dish from last year. This was my very favorite thing last year. I craved it all year and was thrilled when I saw it back in the line-up. 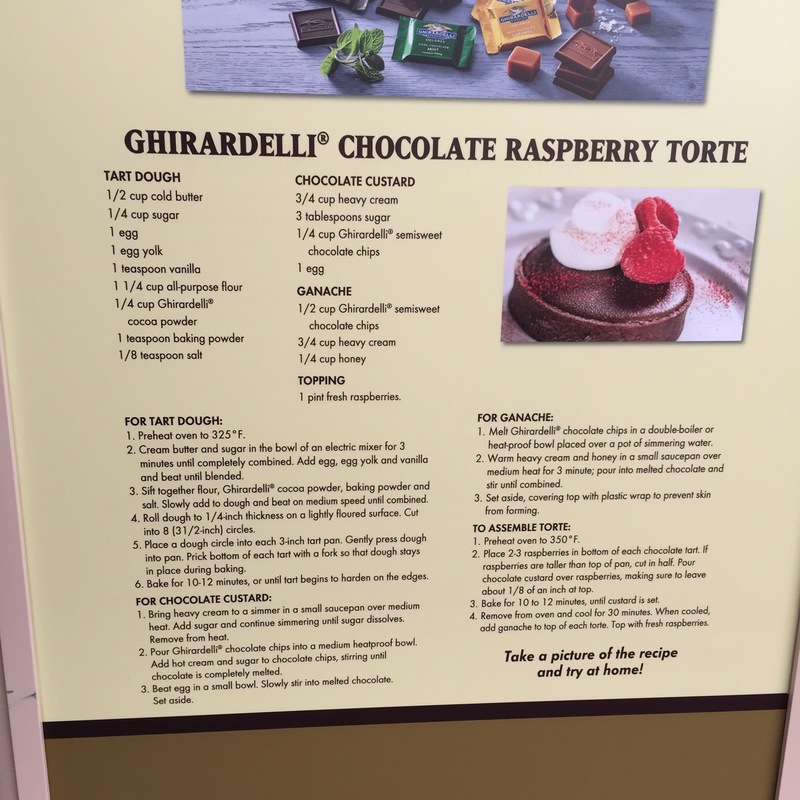 However, it didn’t live up to my memory and was quickly replaced by the torte. Rounding out The Chocolate Studio offerings was the Red Wine Chocolate Truffle. As you can see, this thing was coated in cocoa powder. Waaaaaaaaaay too much cocoa powder. 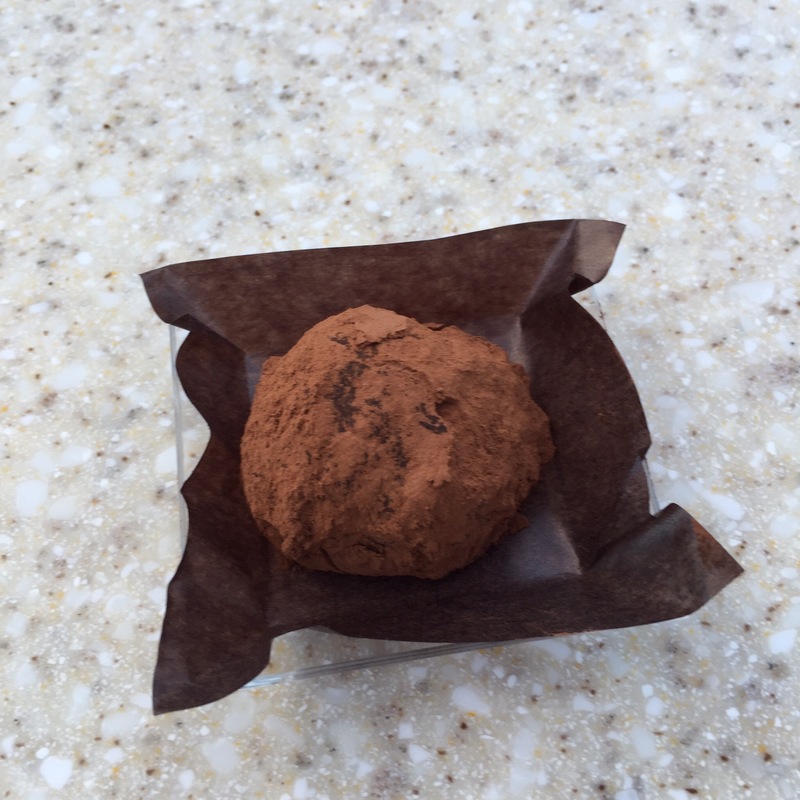 The truffle within was a quality dark chocolate truffle with a smooth, yet dense center. I could not detect the red wine, however. I enjoyed it, although it’s not something I would repeat if given the chance. 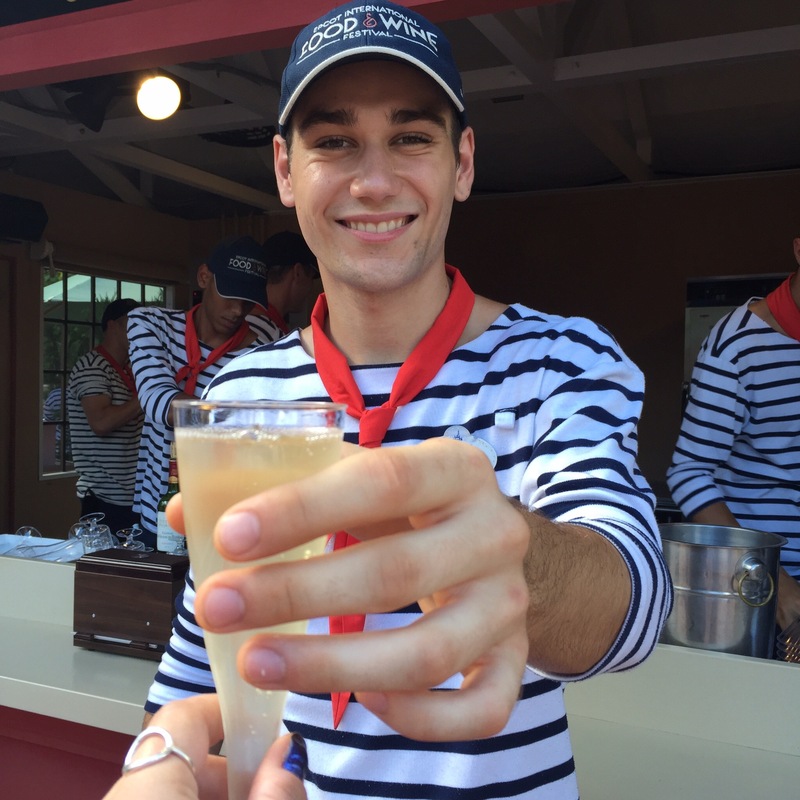 Since I mentioned how nice the French Cast Members are, here’s this gem of a CM handing me a St. Germain Sparkling Kir, sparkling wine with St. Germain Elderflower Liqueur. Doesn’t he look super nice and friendly? 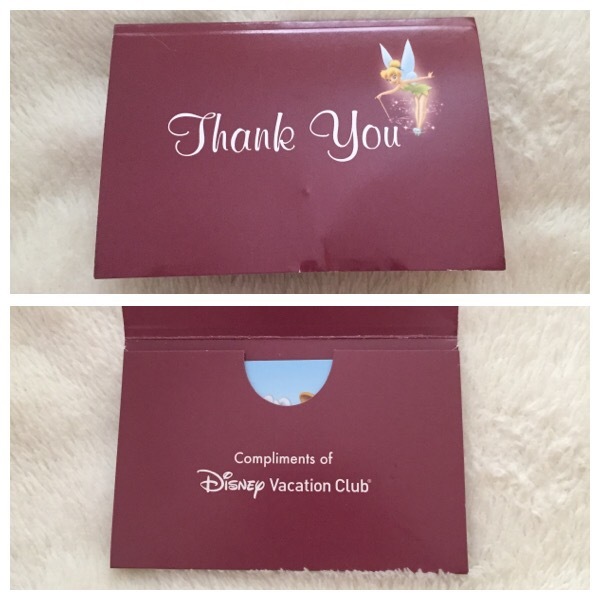 Such a nice Cast Member! 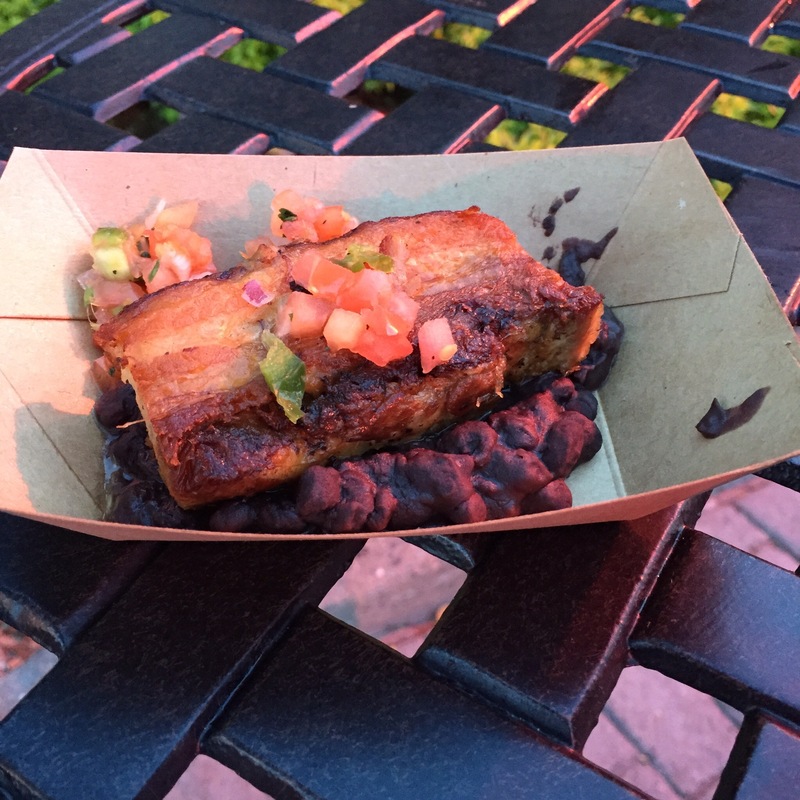 Brazil, in the spirit of the Olympics, was represented this year, and I tried this Crispy Pork Belly with Black Beans and Tomato. It was rich but oh, so tasty. 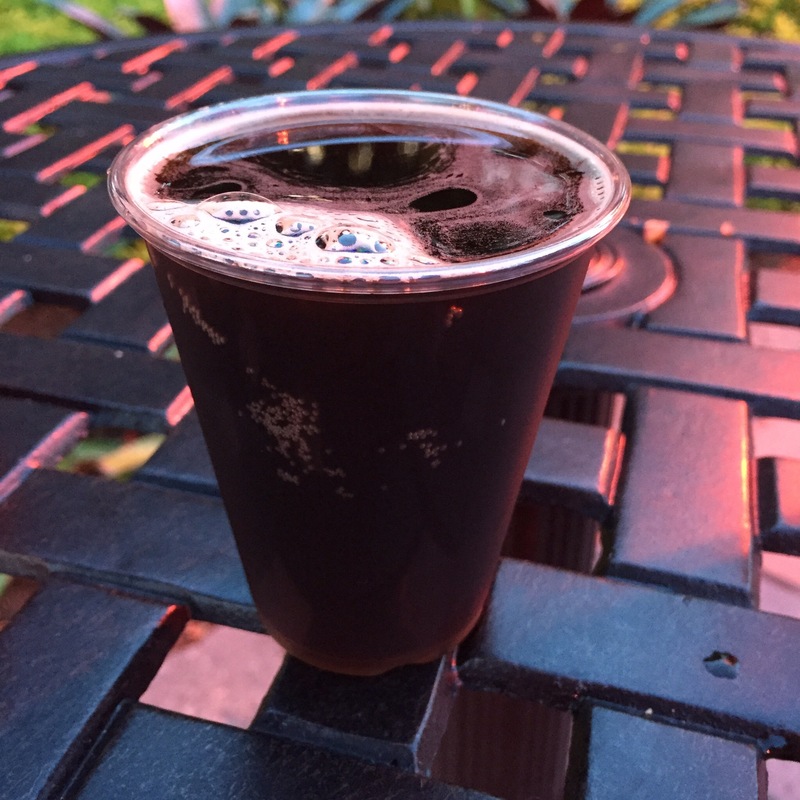 To wash it down, I tried this Kaiser Brewery Xingu Black Beer. It was very dark and full of smoky flavor but very smooth. Yummy! 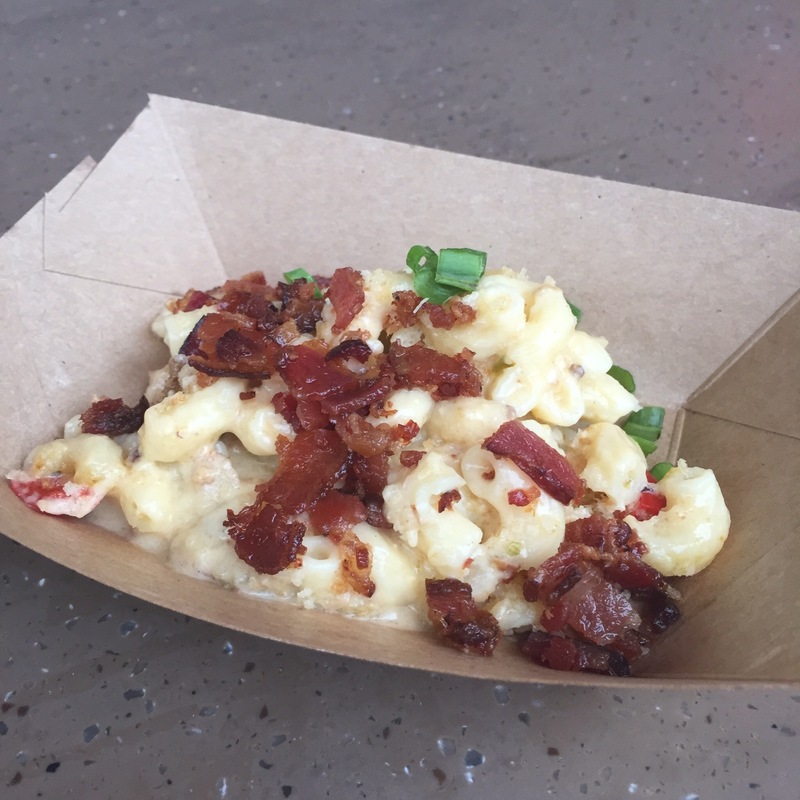 Rounding out what I was able to try at the Festival was the Loaded Mac and Cheese with Nueske’s Pepper Bacon, Cheddar Cheese, Peppers and Green Onions. This was rich and creamy, with a bit of a kick. It was a very generous portion that I recommend sharing. 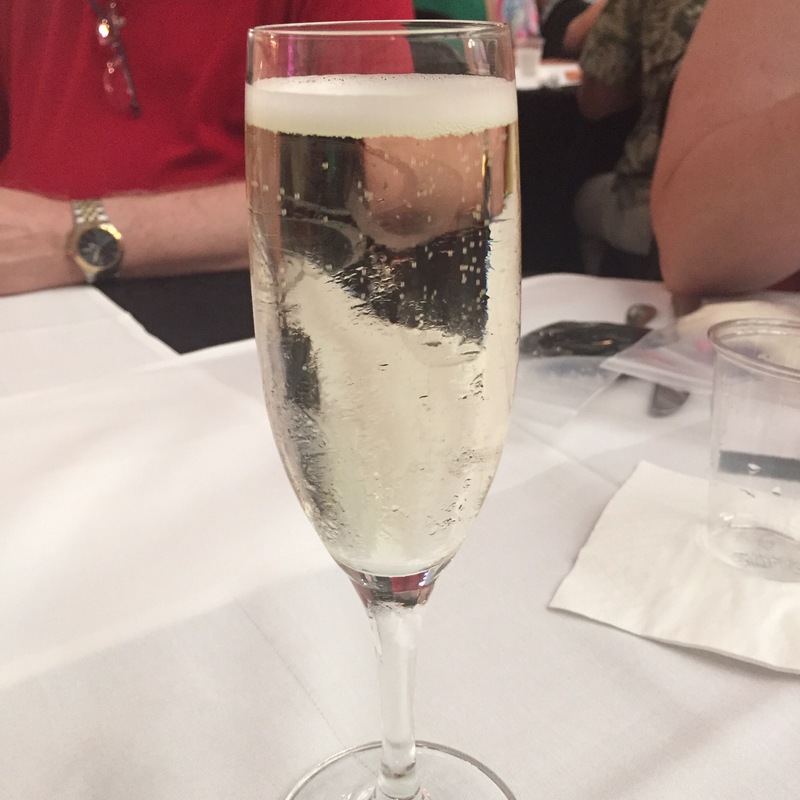 With it, I ordered the Florida Orange Groves Mango Mama Wine. What a fun name! It tasted exactly as I expected, very sweet and light with a hint of mango. All good things must come to an end and such is the case with the Festival. I never get to enjoy as much of it as I want, but it’s always a joy. As I left the park one night, this was my sight. 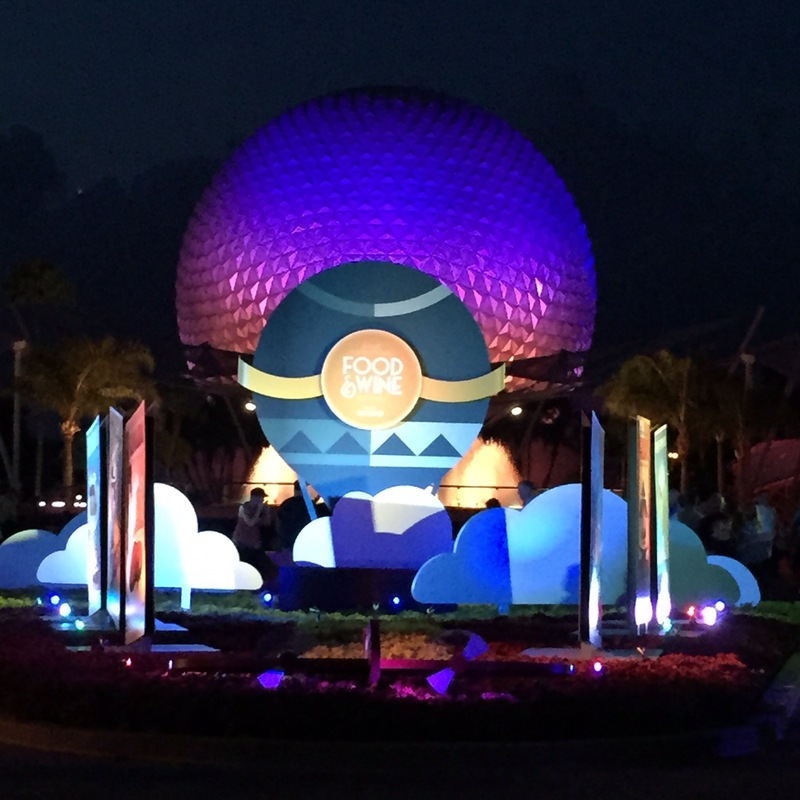 Goodnight, Epcot! Until next time! I was reminded how lucky I am to live in a free country where all this fancy food is a real luxury, as is the vacation itself. 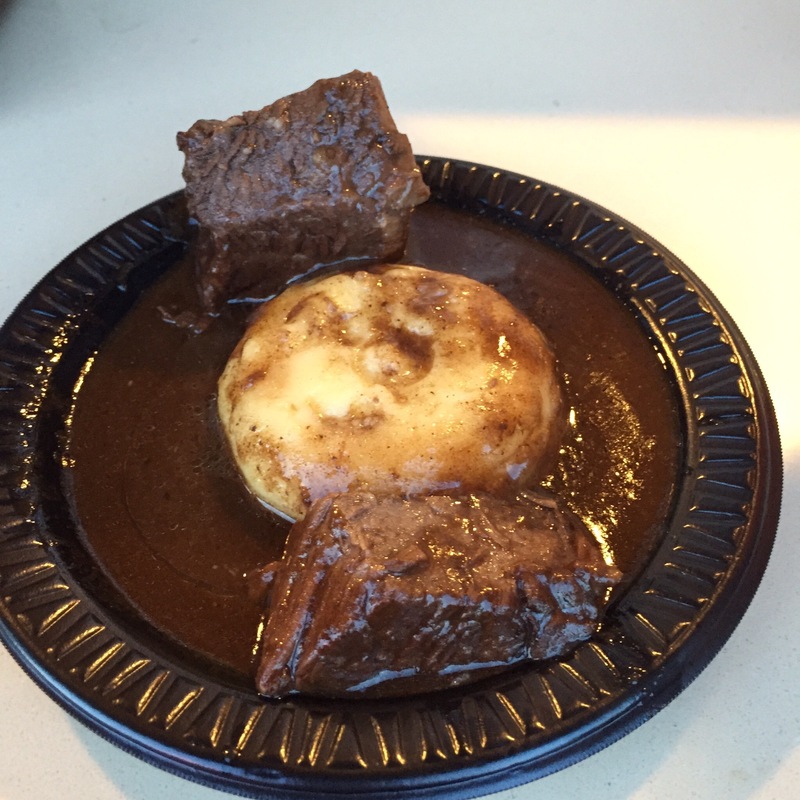 What was your favorite Festival dish? 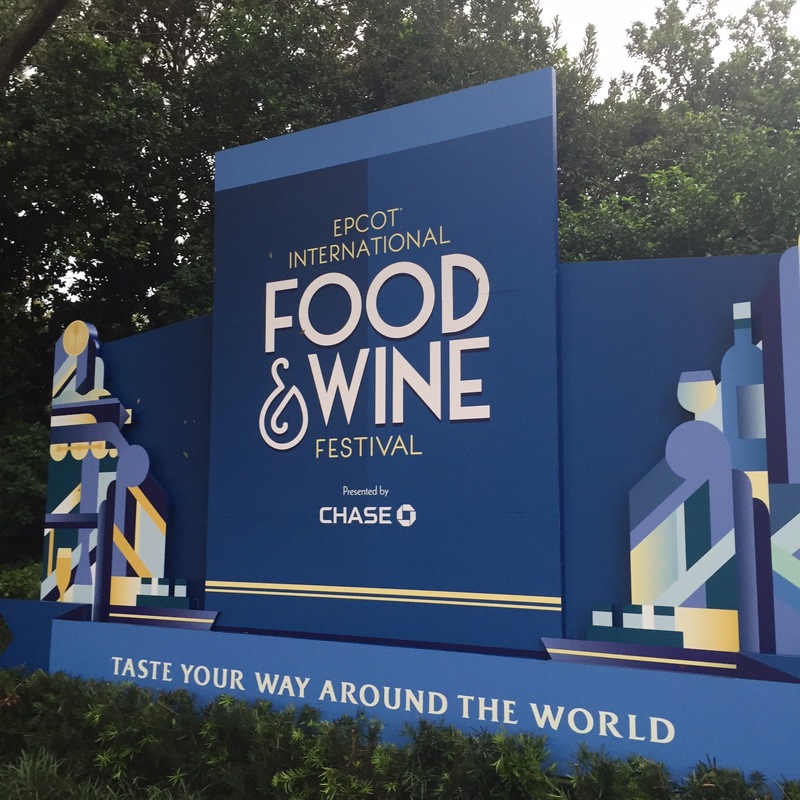 Most people who are interested in attending the Epcot International Food and Wine Festival know about the kiosks located all around the World Showcase. For a few bucks per bite and sip, foodies can nosh their way around the World to their hearts’ content. However, special events are also a huge part of the Festival. When I visited a few weeks ago, I attended one of the Mix It! Make It! Celebrate It! workshops. Admittedly, I didn’t do a ton of planning for this trip like I usually do. 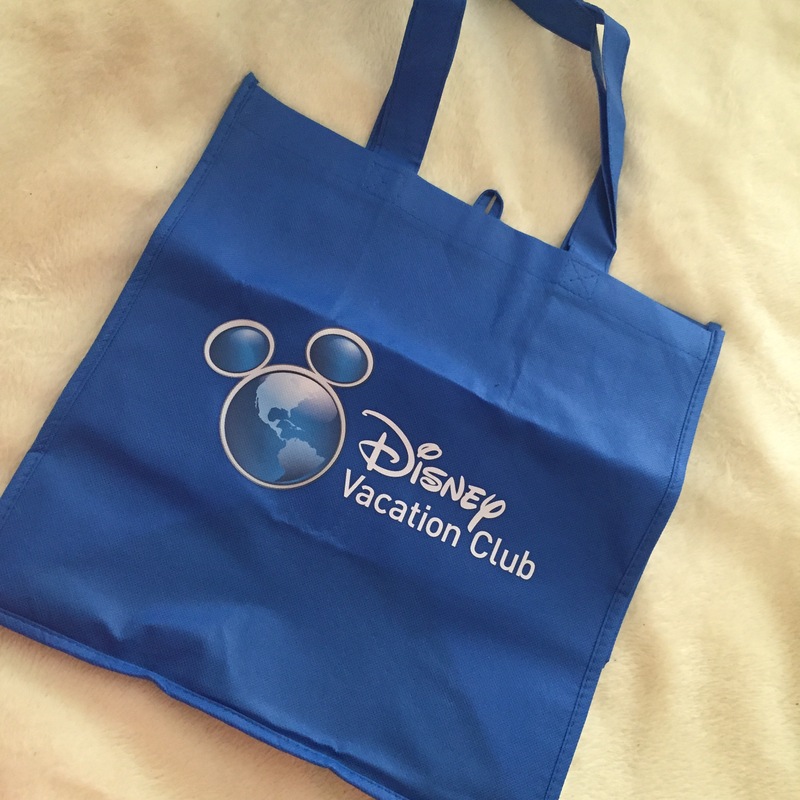 A few dining reservations and FastPass+ selections pretty much summed up all I put into it. About 2 weeks before the trip (last minute, much? 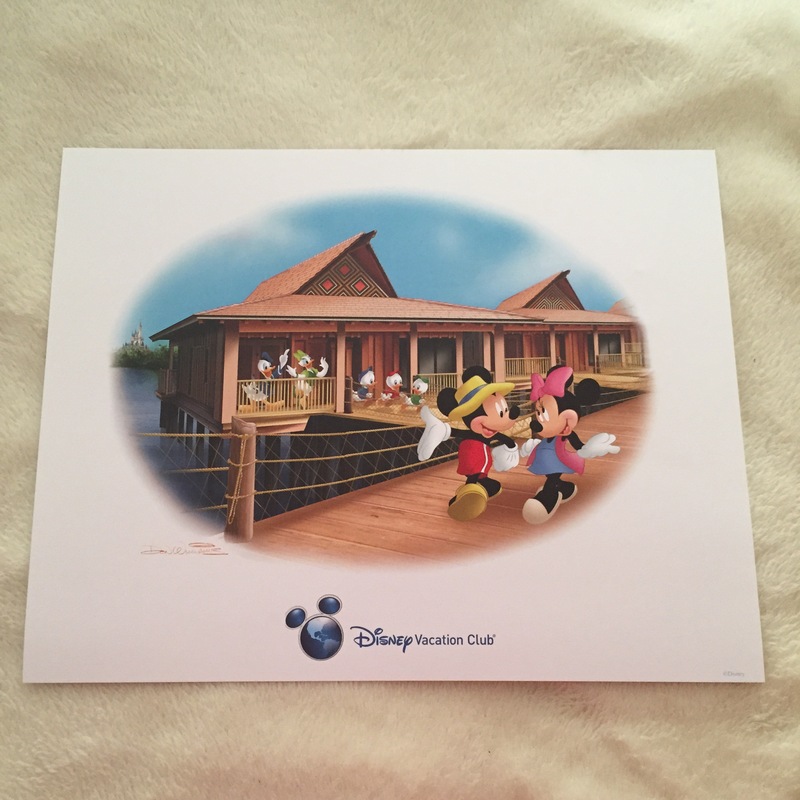 ), I began to peruse the list of special events taking place during my trip and found this new workshop. 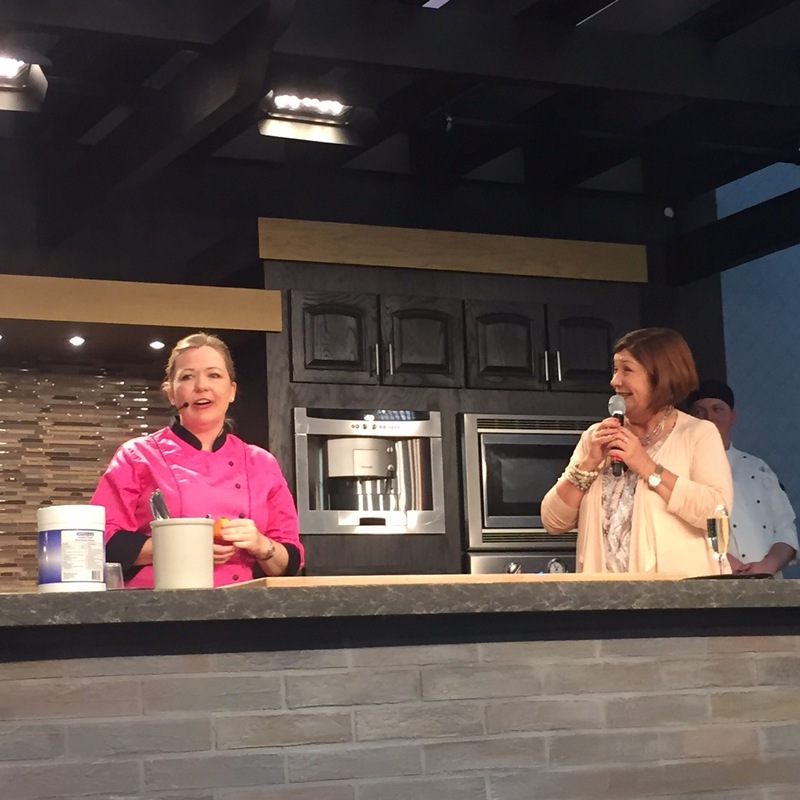 Even better, there was one with Bronwen Weber, celebrity cake artist from Dallas who frequents the Food Network. I was sure it was sold out, as all celebrity special events do, but thought I’d call just to be sure. Imagine my surprise when the Cast Member I spoke with told me spaces were still available. Sweet (pun intended)! Spaces were still available two weeks before the event. Since this was a brand new event and I was visiting toward the beginning of the Festival, I couldn’t find out very much in advance about what I could expect for my $49. All the website said was we would leave with our very own edible masterpiece. What does that meeeeeeeeaaaaaannnn??? 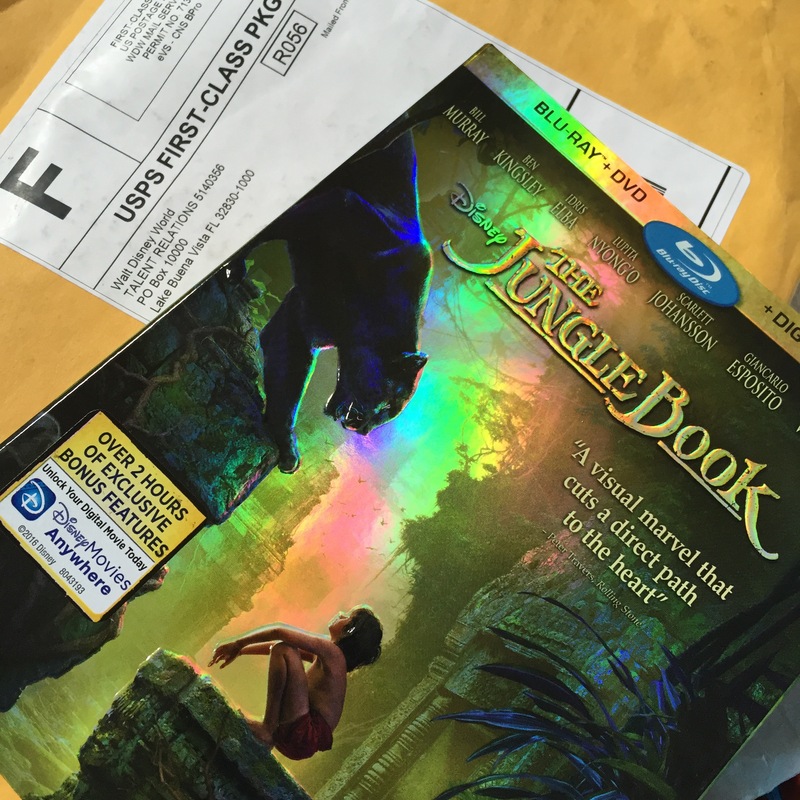 Still, I was optimistic that the Disney folks would do it up right, and I was not disappointed! I arrived about 45 minutes in advance, and people were already beginning to line up. They started letting us take our seats 15 minutes prior to the event. I was lucky enough to score a seat at the front and center table, and I was thrilled. 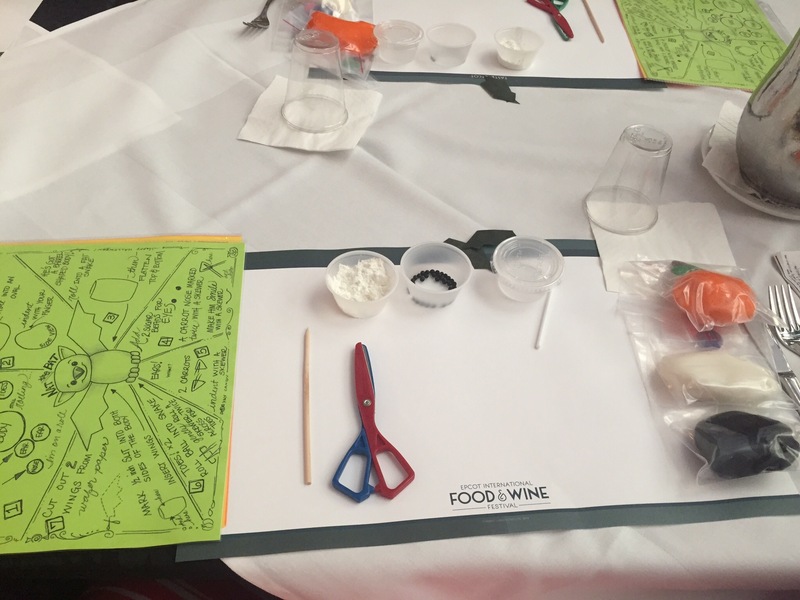 At each place setting was some colored fondant, a small pastry brush, child’s safety scissors, a skewer, a tiny bit of water, cornstarch and a cup for water. Place setting for the Mix It! Make It! Celebrate It! workshop. 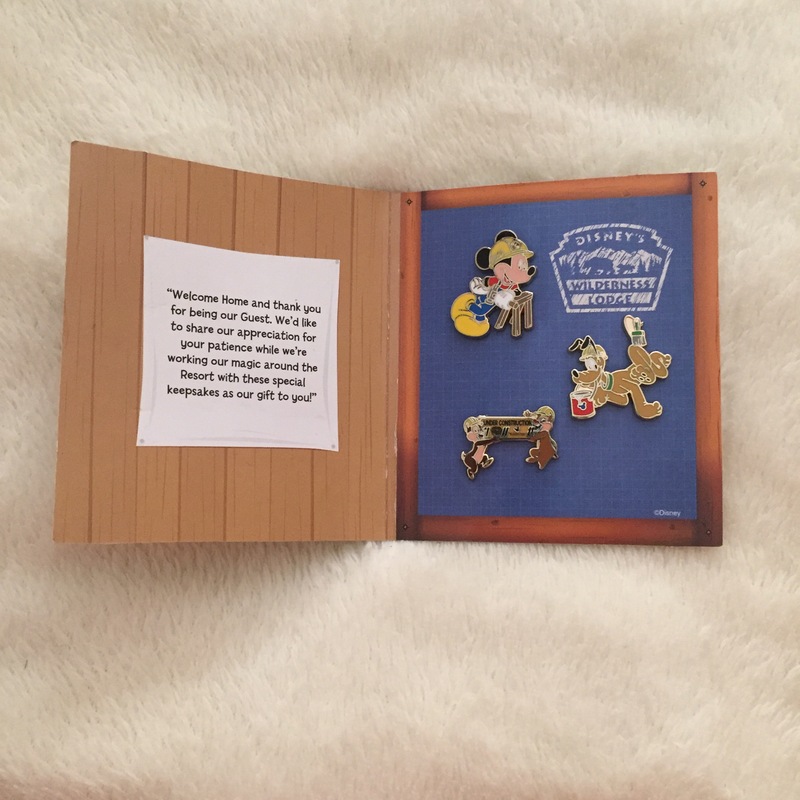 There were also a few pages of instructions, which hinted at what we would be doing. They were hand illustrated by Bronwen herself, no less! 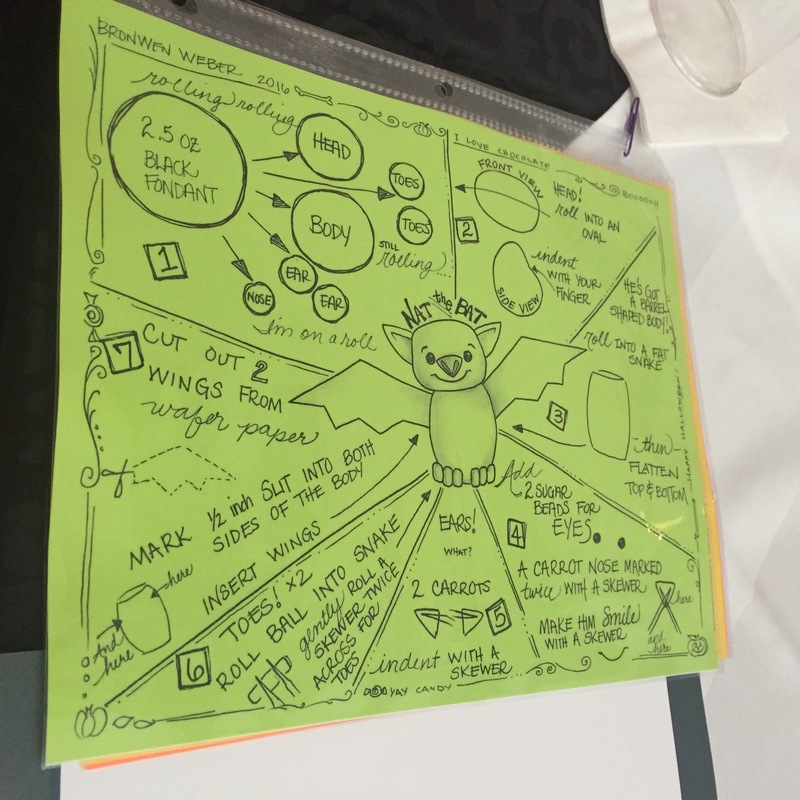 Bronwen Weber hand illustrated our instructions. Yet, I was beginning to wonder if I would find the value to be worth the cost. 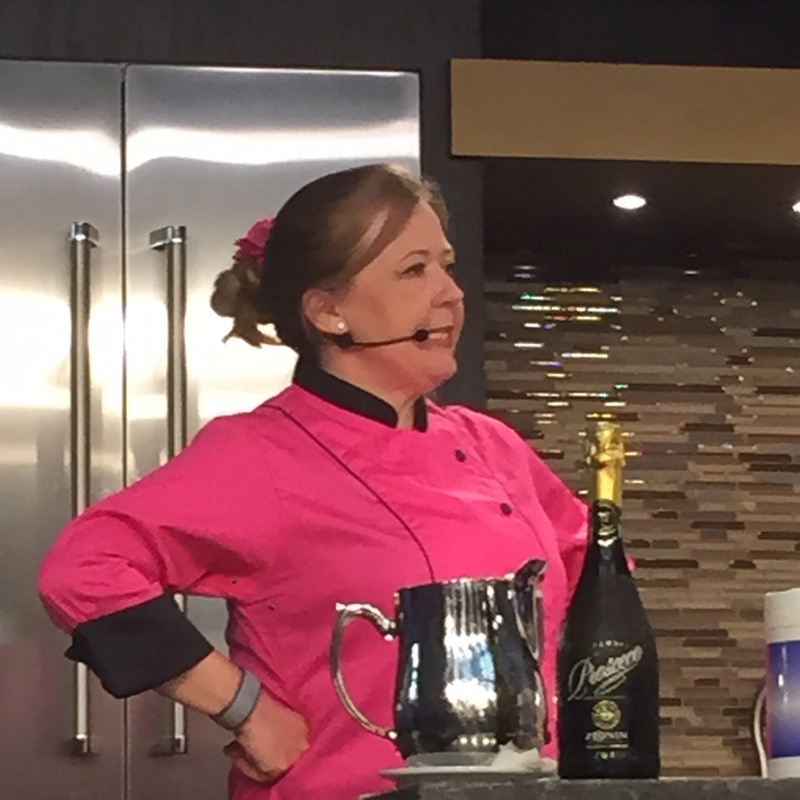 Soon after Bronwen took the stage, glasses of Prosecco were passed out. Ahhhh…much better! Then, we began to work on our masterpieces. Bronwen was an absolute doll, walking us step-by-step through each creation. 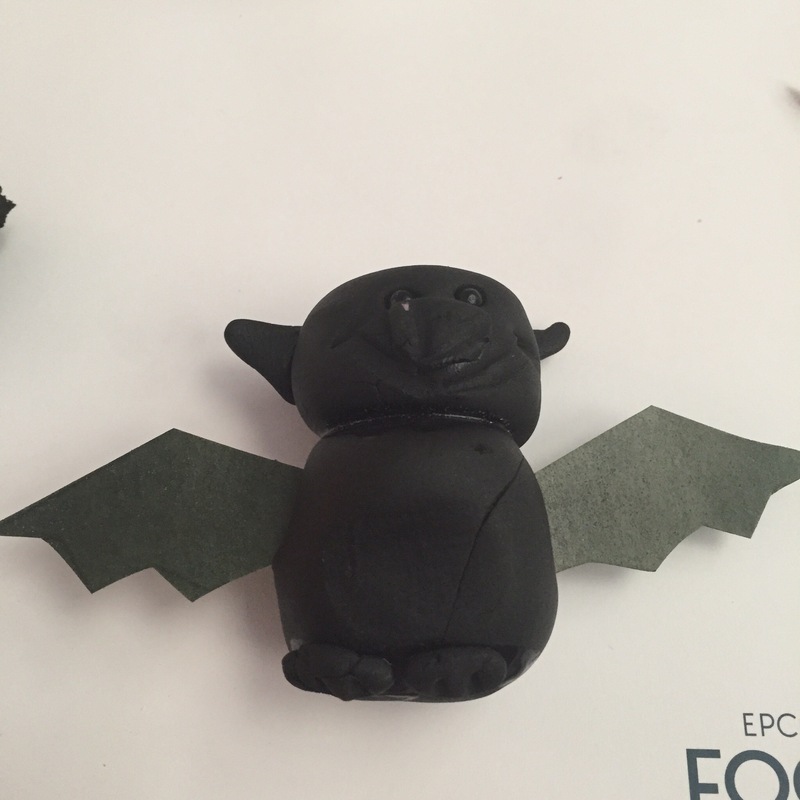 We made a pumpkin, ghost and bat, all out of fondant. 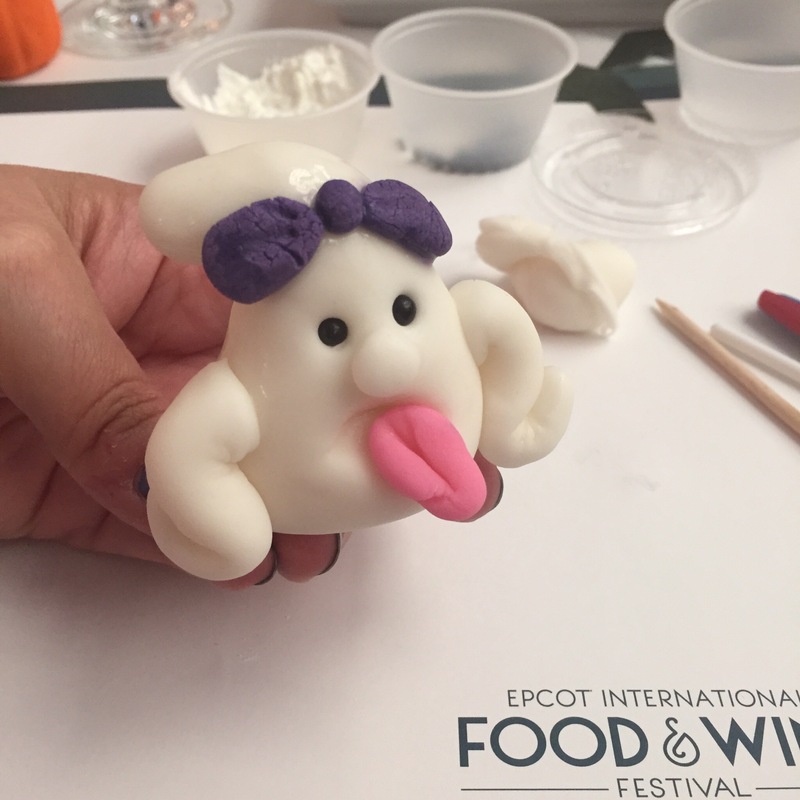 My ghost-my fondant skills are a bit scary! My bat–clearly I don’t need to quit my day job. 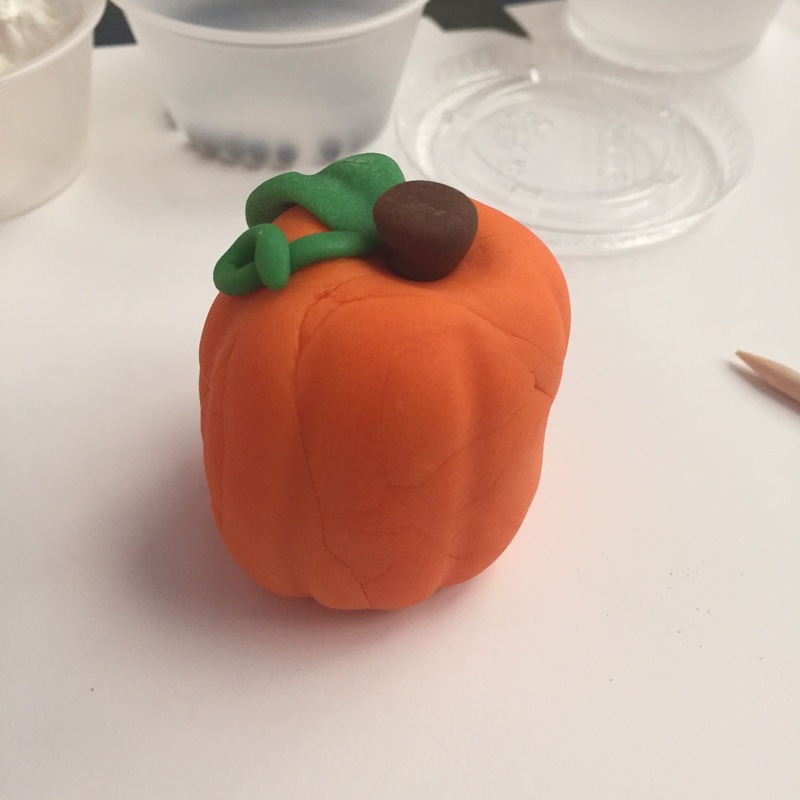 I’ve never worked with fondant before because I don’t like the taste, and the workshop didn’t inspire me to change that. However, Bronwen was very entertaining and personable. 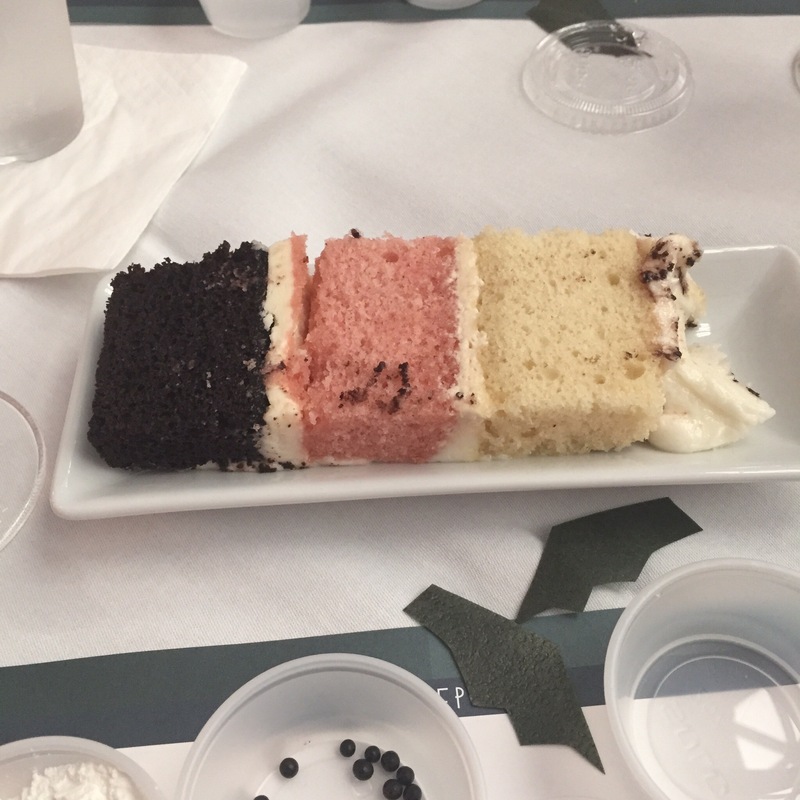 About halfway through the workshop, huge pieces of neopolitan cake were passed out. The cake was made by Bronwen and her bakers in her Dallas bakery, Frosted Art Bakery. I have to admit it was the very best cake I’ve ever had! As the workshop concluded, bakery boxes were passed out to transport our fondant figures home. 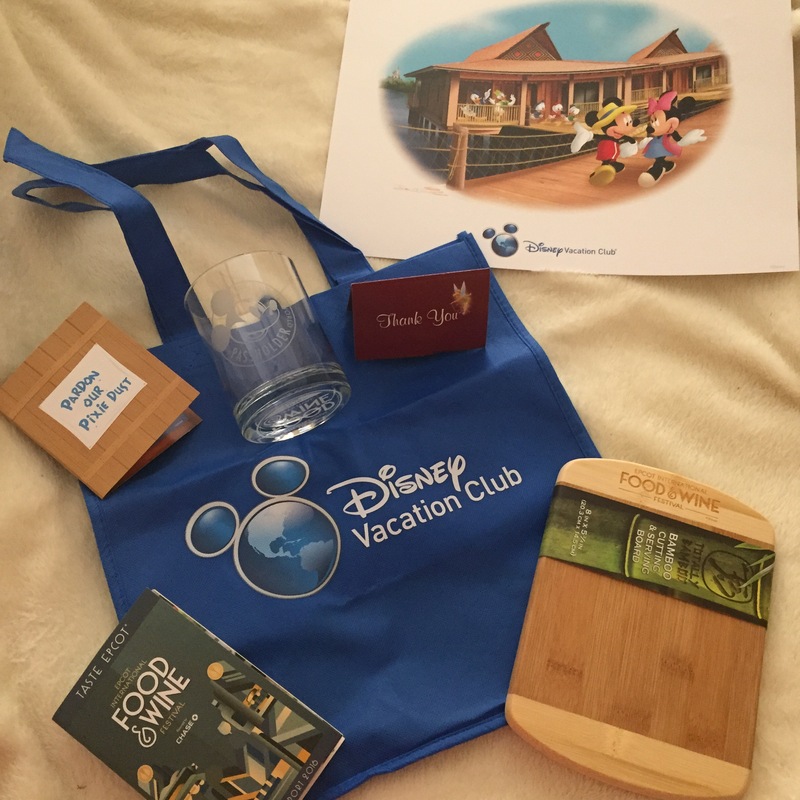 We also each received a packet of recipes from Bronwen and a bamboo cutting board featuring the Festival logo as a very nice take-away gift. 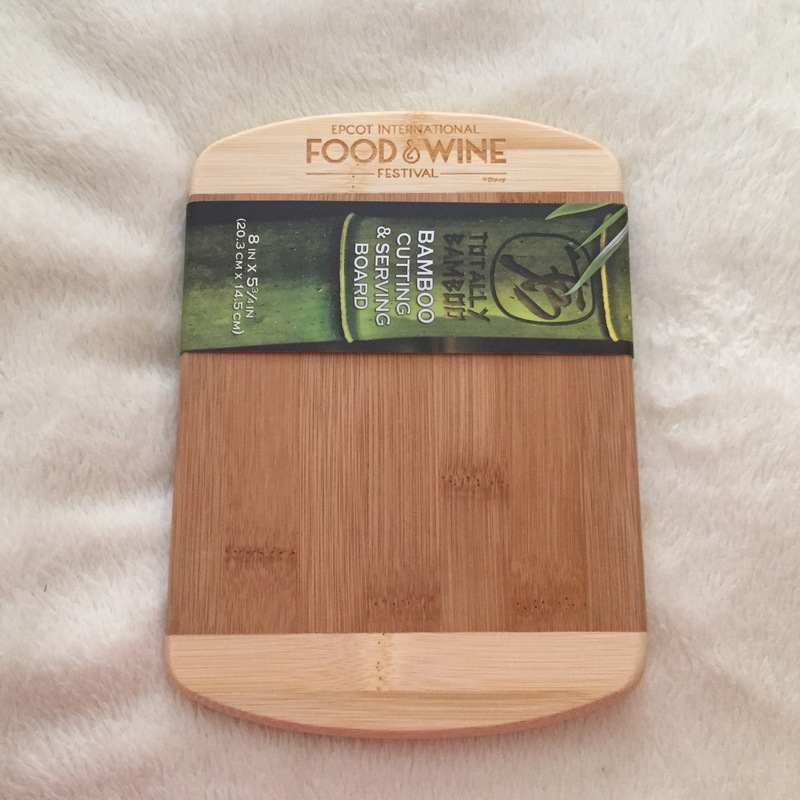 Each attendee received this bamboo cutting board as a take-away gift. My conclusion? I found the workshop to be, not only an excellent value, but a fun way to spend the afternoon. I can’t say that I will use any of the skills I learned (I use that term loosely), but I was thoroughly entertained. 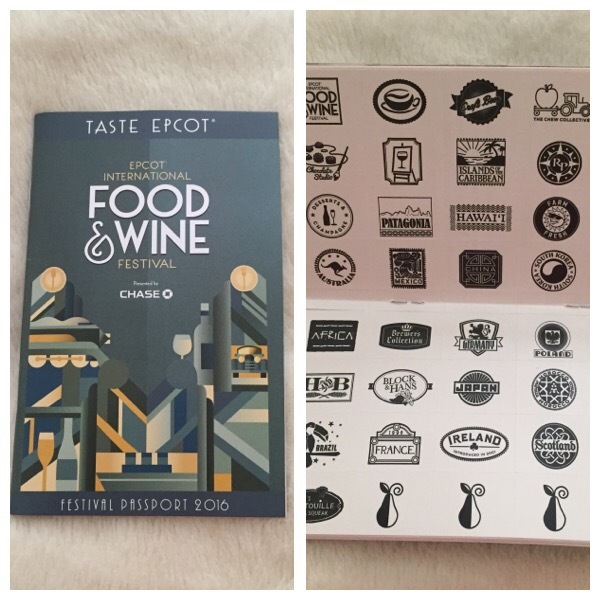 With so many of the Festival special events rising significantly in cost year-over-year, I say bravo to Disney for offering a new, high-quality, mid-level priced event. What’s your favorite Festival special event?